From keynote speaking to teaching the art, business and science of humor to corporatings and businesses around the world, Don Barnhart does it all. 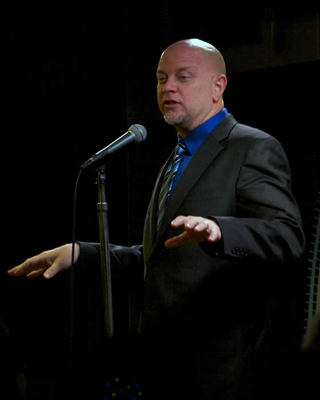 Award Winning Comedian, Second City Improv Graduate, Author, Filmmaker and Certified Hypnotist Don Barnhart is now offering seminars and classes in the art, business and science of humor, stand up comedy, improv, acting and success. Don Barnhart is a professional, working comic with numerous TV/Film credits. He's a national headline act and regular at the top comedy clubs in Vegas and around the world. Learn from someone who actually does it for a living! 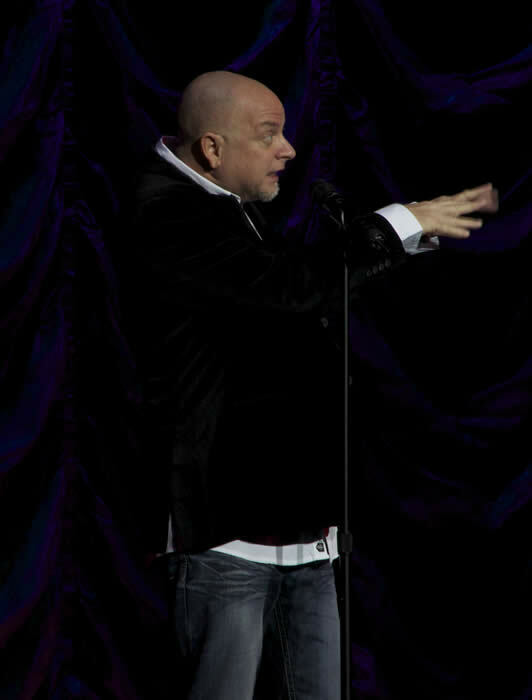 For years, Barnhart has been the premier comedy coach in Las Vegas and comedy consultant around the world. His classes range from: Stand Up Comedy, Writing, Improv, The Business of Comedy, Comedy Seminars, Humor in Business, Humor in the Workplace, Characters, Mentoring, Hypnosis Techniques for overcoming stage fright, achieving success and much more. 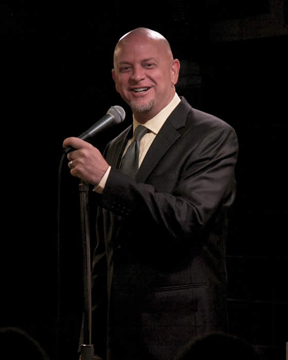 What sets Don apart from any other instructors is that Don is one of the top headline comedians working today and continues to perform for the top comedy clubs, cruise ships and corporations around the world. Barnhart also serves as one of the top comedy club consultants in the country and is currently involved with the opening and booking of several new comedy clubs throughout the United States as well as booking and producing shows for the military, special events and comedy concerts. Over the last 25 years, Barnhart has consulted on the opening, operations and marketing of numerous comedy clubs, cruise ships, concerts and comedy shows for the military. Corporate Training: Using humor to liven up your presentations. Learn to add humor in your personal & professional presentations with Don Barnhart's Humor in The Workplace TM Seminars. No more boring speeches. No more crickets, loud yawns and the sound of your heartbeat pounding in your chest. Learn to use humor and grab the audience's attention keeping them riveted on your presentation. Humor and laughter can be a great aid to reduce stress and promote physical well-being and when applied to your speech or presentation, it puts the audience at ease creating a happy link to you and your product or presentation. Humor has been proven to reduce tension and stress, increase efficiency, attendance, and retention and create an overall sense of well-being. Don Barnhart teaches you the fundamentals and techniques of using comedy and humor to liven up your presentations and keep your audiences entertained while delivering your message. Whether it's just to break the ice during sales or marketing presentation or successfully shifting the perspective in a strategic planning meeting, humor is a powerful tool for punctuating the most important business interchanges. You don't have to be naturally funny or even a stand up comedian to apply humor and Don Barnhart shows you how to use your own personality to create natural and funny humor that's organ tic and not contrived. Humor can help people deal with the every day trials and tribulations as well as triumphing over tragedy. It is a great aid to reduce stress and promote physical well-being and it's been said, "Laughter is the best medicine". Barnhart's speeches and seminars are inspiring, interactive, educational, motivating but most of all entertaining, fun and funny! Humor can ignite laughter and Barnhart's positive humor and improv workshops increase creativity and relieve stress while building and bonding teamwork. A large executive search firm conducted a recent survey of top executives who earned more than $250k per year. What the survey found out was that these executives believed their communication skills were the most important factor that helped them excel to their position. Mastering the use of humor techniques puts a fine polish on your public speaking skills, which can help propel you to the top of the speaking profession and business world. The Advanced Public Speaking Institute says, "There are many benefits you can derive from using humor when speaking. Keep in mind that these benefits only help you reach your ultimate purpose for making the presentation. They are not purposes themselves unless, of course, you are only interested in entertaining." * Connects you with your audience * Makes you more "likeable"
Don Barnhart's humor seminars are perfect for: keynotes, convention openings, conference closings, corporate meetings, events, in-service programs, seminars, meetings, retreats, workshops and more. In this humorous but professional presentation, Don Barnhart will inspire and teach you how to achieve more in your professional and personal life and to truly have your best year ever. Designed to entertain while inspiring you to stay motivated, challenged and empowered, Barnhart combines this powerful keynote with an entertaining hypnotic show turning the volunteers into the stars. Learn to adopt a "failure free" attitude and create a "success demeanor" that is self motivated to achieve your highest priorities. Barnhart is a Second City Conservatory Graduate specializing in improv training and seminars to help break the fear of stage fright, create teambuilding and trust by working together. Increase your confidence and stage presence. Great for comedians, actors, business people, sales teams and anyone wanting to increase their stage performance and speaking ability. Break through your roadblocks and stage fright. You'll have a blast in this workshop, as you'll be doing improv right away. Barnhart's improv classes and seminars specialize in short form improv and games for the stage. This fun, interactive class will have you on your feet, onstage and creating laughter right away. 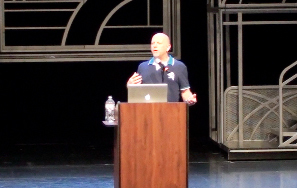 Some of the benefits of improv: Increasing your stage presence and public speaking skills. Improve your presence in your comedy shows, create characters. You'll also see the power of being positive, heighten your listening skills, learn to "hear" and be "in the moment", learn body language, gain confidence and comfort onstage, in auditions and speaking engagements, break through nervousness and stage fright, learn to handle live speaking situations with comfort, confidence and ease. Don Barnhart Key Accomplishments Include . . .
As one of the world's premiere interactive entertainers, Don Barnhart has engaged, entertained, amazed, and delighted thousands of audiences with his stand up comedy & hypnosis shows across North America and around the world. Praised as a "one of of the best", Don Barnhart has become a favorite guest entertainer, emcee, and after-dinner performer for hundreds of top companies and organizations around the world, including Royal Caribbean, Carnival, MGM and more. Don Barnhart is a favorite headliner at the top comedy clubs and cruise ships around the world and received the “Bob Hope Award” for his dedication to providing entertainment to the troops stationed overseas. He stars in the new film Finding The Funny with Brad Garrett, Louie Anderson and Marty Allen and has been featured on numerous TV and radio shows including: NBC, CBS, FOX, ABC, MTV, and is a regular on XM/Sirius Satellite Radio and a favorite guest on The Bob & Tom Show. Don Barnhart has also been in national magazines and newspapers, including USA Today, The New York Times, The Los Angeles Times and CNN. More About Don Barnhart. . . 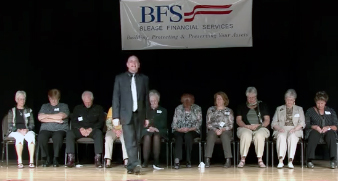 In 2012, Don Barnhart’s show was named “Best Bet” by the Las Vegas Review/Journal and he was called America’s Funniest Hypnotist by Hypnosis Monthly Magazine. That year, he won the grand prize in the Improv Comedy Club’s search for the next great comedian and Entertainment Business Weekly labeled him of of the top 100 comedians to see 3 years in a row. 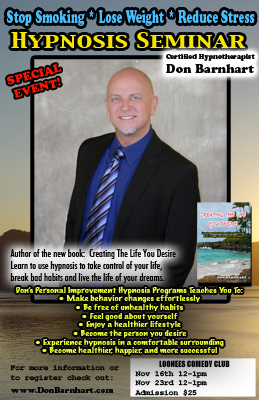 Don Barnhart is the author of Creating The Life You Desire: Using Hypnosis To Create The Life Of Your Dreams and is a contributing author on I Killed: True Stories From America’s Top Comedians and has written numerous articles on humor. Don Barnhart is a graduate of the Second City Conservatory and is considered one of the top humor and comedy instructors around the world. 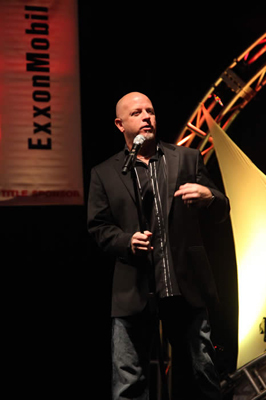 Besides performing, Don teaches stand up, improv and humor in the workplace seminars. 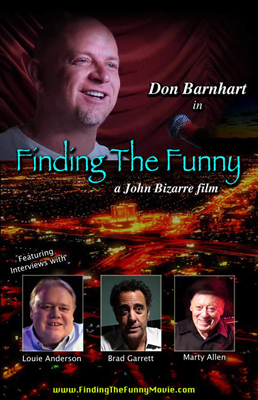 Check out the new documentary about Don Barnhart's Comedy Classes directed by John Bizarre. Learn the art of improv in this practical workshop by Second City Conservatory Graduate and Award Winning Comedian Don Barnhart. This workshop is recommended for everyone wanting to learn and practice improv. comedy is a serious business! teaching the art of humor.